This is a different type of article, but one I’ve been thinking about lately. As I have been looking at professional goals, I have noticed that, when there are many things that need to be done, it’s difficult to get traction on every goal at the same time. The fact is that there are only so many hours in a day, and only so many ways you can carve out your time. One of the things that has given me a different idea as to how to tackle some of my goals is to borrow something from the Personal Finance side of my life. Those who know me in my personal walk know that I am somewhat psychotically anti-debt; I don’t borrow money for any reason any longer, and have a goal to never borrow money again. This came from years in my past where I did really dumb things with money and racked up large debts, and later on ate through a fairly substantial nest egg because we were living larger than our means and we were not paying attention. Since 2007, however, we have lived entirely debt free in all areas (no consumer debt, no student loan debt, no mortgage debt, no business debt). One of the people that inspired me to make this stand and get to this point is Dave Ramsey (long time friends who read this blog are no doubt laughing right now, thinking to themselves “how many posts did it take for Michael to mention Dave Ramsey?!”). In a nutshell, Dave Ramsey advocates getting together your debts, smallest to largest, paying the minimum on all but the smallest debt, and attacking that smallest debt with an absolute vengeance, throwing every penny you have to spare at that debt until it’s gone, and then attacking the next debt with the same fervor and vengeance. The idea is that the person paying the debt, gets larger and larger sums of money as each debt gets paid off to attack the next debt (Dave Ramsey calls this a "Debt Snowball"). In time, the entire debt is paid off, usually way faster than the person intended to, because they became “Gazelle Intense” with regard to getting out of debt. One of Dave’s most oft used metaphors is the idea of a Cheetah trying to bring down a Gazelle out on the Serengeti plain. 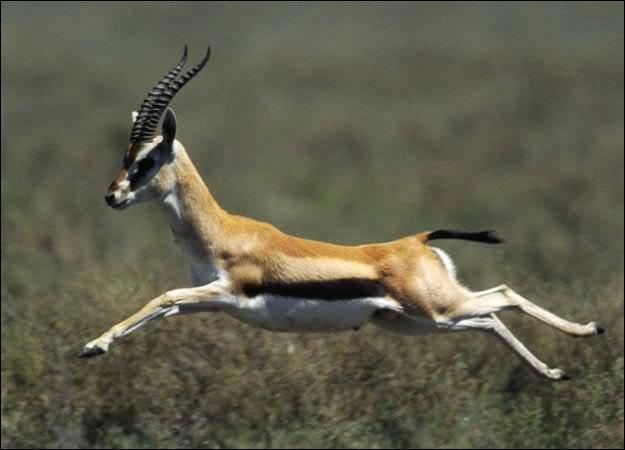 The Cheetah has speed in a straight line, but a gazelle can duck and weave at high speed, too. 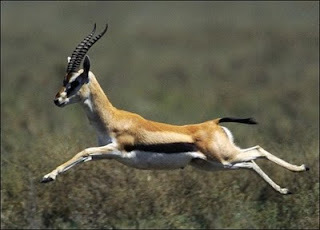 If a Gazelle detects it will become dinner, you better believe it will run with every fiber of its being! As I’ve been looking at this idea, it struck me that, with individual goals, it is also possible to become Gazelle Intense, but the challenge with a goal is that, unless it is truly pressing and urgent, most people will not go to the extremes that they might go to if the roof was about to cave in on them or, to continue with the metaphor, a cheetah was bearing down on them. So how can a person use the idea of getting “Gazelle Intense” with a goal that’s not financial? My first recommendation would be to “get current” on whatever is necessary, and then, after doing that, list the technical goals that you would like to accomplish and spell them out in tasks that are arranged the smallest to the largest. 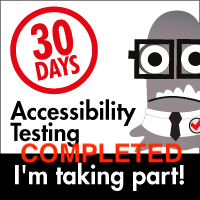 Some tasks will be relatively easy (install and set up the environment for a new testing tool). 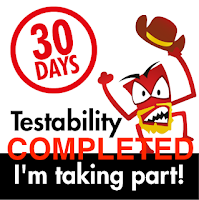 Some goals are more difficult (become comfortable and familiar with C# Script), and some are even more challenging (design a framework that will allow me to fully test a Web Application through a protocol driven API). Trying to do those things at the same time might become frustrating and overwhelming, but cutting up each item into steps where the smallest step is first, and the bigger steps follow on afterwards, it is possible to get traction on items and really get some forward movement. Intensity is the key in Dave Ramsey’s plan, and intensity is the key here. Another phrase that Ramsey uses is “live like no one else so that you can live like no one else”. Fans of Ramsey know what that means; it’s a call for “beans and rice, go for the jugular, live as inexpensively as possible, sell anything that is not essential and get so good at it that the dogs new name is eBay and the kids think they might be next”. I’m kidding about the dog and the kids of course, but the rest is totally serious. Go after the goal with every fiber of your being, but do so by attacking the smallest elements of the goal first, and then ratchet up the intensity with each step towards the total goal. How to do that is totally up to you, and whatever the goal is, only you will be able to determine what the smallest step to the largest steps may be. We may not have the luxury of shutting everything off so that we can focus on a particular goal, but if we take the idea of “Gazelle Intensity” to at least one of them, I will promise that we all will be able to accomplish way more than we think that we can, and we will do it way faster than we think we can. So to my fellow testers, I recommend taking this idea from Ramsey, pick a goal, shape it out, and then go after it as though a cheetah was one your tail.